The glade spun past the dancer. His eyes took it all in as a blur of color, motion so fast it ceased to move, became a water-color scarf in which to wrap himself. Alec let himself spin gradually to a stop, watching as the trees sorted themselves back into individual trunks and branches, and smiled. The boys who made fun of him for dancing—had mocked him until he’d retreated to the woods to dance for only the trees—knew nothing. He finished his dance, bare feet tapping the meadow grass, and bowed to his arboreal audience. Alec liked dancing for the trees. When he thought about it, he thought that being forced to the forest was the best thing that had ever happened to him. Panting a little from his dance—the music in his head had been fast, a driving beat that kept him moving—Alec trotted off to the big oak to check the nest. The oak stood in the center of the forest, and felt like a relic of an older time. Where most of the trees were slim-trunked and straight, Alec could not reach around even half of the oak’s sturdy base. And the branches, rather than climbing in neat ladders, reached in all directions with a randomness that still managed to be graceful. Alec liked climbing trees, and the oak was perfect for it, the broad, sturdy branches at just odd enough intervals to be interesting. He had been climbing the oak for years, and he’d been hiding there when he found the nest. Alec remembered the day. Most of the time the woods were his own, but on that day the neighborhood kids penetrated deep into the forest, not following or chasing him, but looking for crabapples to throw at stray cats. Alec climbed the tree to his usual level then, hearing the boys coming closer and afraid they would see him, he turned and climbed higher, to where the leaves and branches hid the ground completely. He knew that people hardly ever looked up, but he would take no chances. After a time, he forgot the other boys, and climbed for the love of climbing, and for the love of the tree. He had come on the nest in the highest branches that would support his weight. It was big. Big enough that he looked quickly around to be sure the occupants weren’t home, though when he peeped over the edge, the nest was empty of both birds and eggs. It was just a huge nest, suggesting a larger bird than he had ever noticed about the forest. After that day, Alec climbed several times to the highest branches of the tree to look at the nest. In the spring, a single, large egg appeared, and he became more careful about getting near the nest. He knew now what bird lived there, and had no desire to meet with beak and talons designed to rip apart small animals. He stayed away for the summer, once climbing a nearby tree to see if he could peek in. He could see nothing and didn’t try again. Now it was fall, and when Alec had danced the changing seasons, he went again to see the nest. If the egg had hatched, the fledgling must by now be flying and independent, or it would not make it through the winter. He had missed the tree. It felt like home. Rather, it felt like what he thought home ought to feel like. It covered him, hid him, made him safe. It brought him to the adventure of heights. And it gave him the nest. Alec scanned the trees and the sky to be sure that there were no large raptors hanging about, ready to defend the nest. They should be long gone, or did birds like that leave their nests in winter, the way the robins and wrens did? He wasn’t sure, so he looked hard. Then he peeked over the edge of the nest. There they were. The shattered shards of the huge shell, kicked aside but never fully destroyed, despite the activity that must have filled the nest for weeks after the chick hatched. Alec held his breath, wondering if he dared. Almost without willing it, he reached out a hand, and touched the largest piece of shell. Then, hurrying, eyes as much on the sky as on the task, he scooped up as much of it as he could, stowed it in the hood of his sweatshirt, and climbed back down the tree. He looked about, hoping the bird would understand, then forgot everything else in studying the shell. The colors, the curve of the broken pieces, the smoothness of the surface. It all fascinated him, and filled him with delight. The space under the tree was clear. Little grew in the shade of the great spreading branches. Alec laid the shattered shell on a patch of moss and began to dance. He didn’t know that the great birds watched as he danced the hatching and the flight. He soon learned, however, that the neighborhood bullies had been watching. They circled him, mocking. Alec gritted his teeth, ignored them, and kept dancing. When he felt the first rock, he flinched, but did not lose his rhythm. In any case, what could he do? If he fled, they would follow, and he would go down under a pile of fists and kicks. When he danced, they never quite dared to touch him. Alec didn’t know why. It was his dancing, as much as his poverty and loneliness, that made them hate him. And yet, to dance was to be protected. Until now. A second boy bent and picked up a rock. They had found a way to touch him without touching him. The frenzy of a mob told hold, and three rocks struck Alec. Still bleeding, he kept dancing. Then the giant birds swept down, beaks and claws extended. 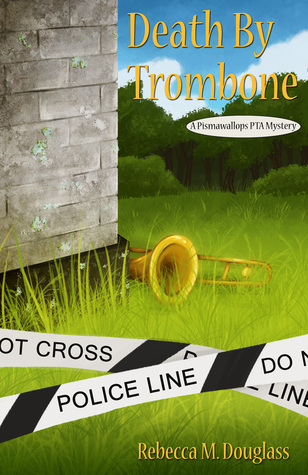 Just few more days to enter the Goodreads Giveaway for Death By Trombone! Publisher: MacMillan Audio, 2009. Originally by Center Street, 2009 (473 pages). t the same time Adolf Hitler was attempting to take over the western world, his armies were methodically seeking and hoarding the finest art treasures in Europe. The Fuehrer had begun cataloguing the art he planned to collect as well as the art he would destroy: "degenerate" works he despised. In a race against time, behind enemy lines, often unarmed, a special force of American and British museum directors, curators, art historians, and others, called the Momuments Men, risked their lives scouring Europe to prevent the destruction of thousands of years of culture. 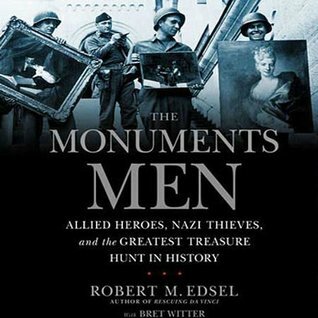 Focusing on the eleven-month period between D-Day and V-E Day, this fascinating account follows six Monuments Men and their impossible mission to save the world's great art from the Nazis. An incredible story, and very well told. We get enough of the background of individuals to make sure we are invested, but the focus remains on the task the men and women accomplished, which is where the real interest lies. This is a piece of WWII history that I didn't know about, though I had been aware of Nazi looting of artworks. I hadn't realized how close many had come to being destroyed (or how many were, in fact, lost). The focus of the book is, as it should be, on the art and the quest, but the author has managed to mold this into some gripping story lines. We do come to care about the men and women who fought to save the art, as well as the art they were fighting for. The epilogue that followed up on what happened to all the main players felt somewhat hasty. It read kind of like a list; perhaps the author shared my feeling that it didn't much matter. The narration was a little rough, and I found the reproduction of accents in the reproduced dialog to be a decidedly false note. With so many characters and story lines, it would have been better to read it on the page, where it's easier to keep track, and to see when the story shifts from one to another. If you have any interest in art or in WWII, read this, but get the book, not the audio version. For one thing, it has helpful additions like maps and a list of characters! The story has also been made into a movie; I have not seen that and cannot comment on it. Full Disclosure: I checked The Monuments Men out of my library, and received nothing from the writer or publisher in exchange for my honest review. The opinions expressed are my own and those of no one else. I am disclosing this in accordance with the Federal Trade Commission's 16 CFR, Part 255: "Guides Concerning the Use of Endorsements and Testimonials in Advertising." Today, I'm doing two books at once. I listened to the audio back-to-back, repeating the first book, which I read several years ago, in order to have the context for the second book. Author: Jennifer L. Holm; read by Emmy Rossum & Maria Dalbotten, respectively. Publishers: Harper Collins 2001, and Atheneum, 2011. Audio editions by Listening Library, 2007 and 2012. 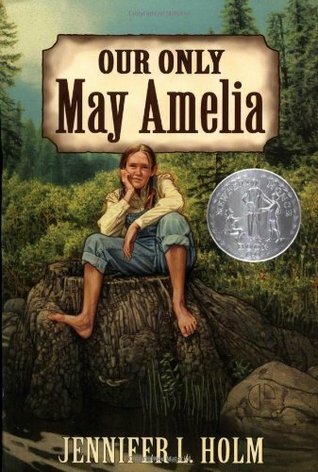 Our Only May Amelia: May Amelia struggles along as the only girl in the whole pioneering settlement along the Nasel River in Washington State. Having seven brothers doesn't help, nor does the fact that in spite of all this, everyone somehow expects her to be a proper young lady. But she's looking forward to that changing, with the birth of a new baby in the family! It might even be enough to compensate for Grandma's moving in with them. 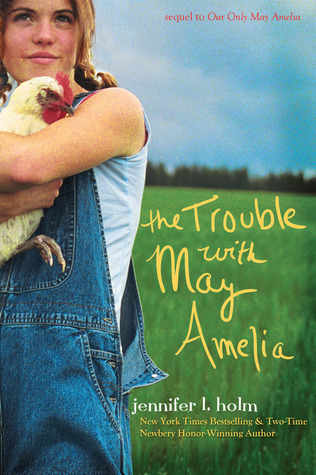 The Trouble with May Amelia: A year along, or thereabouts, May is still struggling with expectations for her, and her father's belief that girls aren't good for much. When he pick her to translate for him when an agent comes calling, May's excited to prove her worth. When things go bad, though, she's the one in trouble, and the whole family is in danger of coming apart unless she can find a solution. First off, the audio versions were both excellent. Both readers did a good job, in a very similar fashion--in spite of listening one right after the other, I had to check to see that there were different readers. I enjoyed these stories. I like historical fiction, and I like tales of settling the American West, and in this case, it was even about my home state (Washington), though a part of the state I've not much visited. Still, I am always amazed that anyone managed to stick it out there through even one dark, soggy winter back before the days of central heating! Despite the ten-year gap between when Ms. Holm wrote the first and second books, they hang together well, and the characters seem consistent. I like May Amelia for being a tomboy, and sticking to that. She doesn't convert to girliness in order to win her father's respect--she fights her way to that by a harder route. I like the mix of maturity and childishness that characterizes May Amelia and the younger boys. It struck me as being about right--kids had to take on responsibility under those conditions, but it didn't stop them being kids, and having fun (or skiving off from work, for that matter). The stories are engaging as stories, and the author's understanding of the setting makes them better. I recommend the books to anyone from about age 9 up (there are some things that may be hard for younger kids to deal with) who likes to read about how people lived in other times and places. Or, for any girl who struggles with expectations of what a girl "ought" to do and be. Full Disclosure: I checked both books out of my digital library, and received nothing from the writer or publishers in exchange for my honest review. The opinions expressed are my own and those of no one else. I am disclosing this in accordance with the Federal Trade Commission's 16 CFR, Part 255: "Guides Concerning the Use of Endorsements and Testimonials in Advertising." So Chuck Wendig is back at his post, throwing out weekly writing challenges. This week we had a list of ten randomly-produced titles, and the command to go forth and write. He gave us 2000 words, but I stopped at 1200. I also looked at the title, and in my mind it kept running to real events, not fiction. So I decided to write a bit of creative non-fiction. Everything in this piece happened, pretty much the way I have told it. Every river wears a mask. 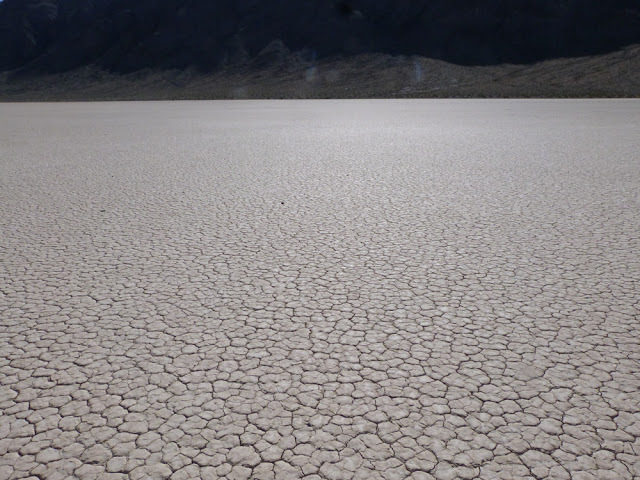 The surface hides much of what lies beneath, though experience teaches us to read it, at least a little. If you are lucky, you survive the experiences. If you are very lucky, along the way you learn a thing or two about yourself. My first stream-based learning experience came when I was about six. Happily, this was a discovery mostly about my own limits, without danger to more than my dignity or reference to the mysteries of deep water. Deep mud, on the other hand, was definitely involved. My brothers and I were the youngest of a string of cousins, and I was the youngest of us all. So it was inevitable that with a half a dozen kids running around a mountain meadow like a gang of mountain goats, I was the least adept at any of the skills the others displayed, including jumping over things. A little creek wound through the meadow, and from a distance it was clear and beautiful. We children saw it as a plaything. I was to learn of its dark underbelly. With all the older kids jumping back and forth across the creek, in my 6-year-old arrogance I shouted, “Watch me jump!” and leapt…to about the middle of the stream. Which proved, on closer contact, to have a bottom made of muck. Deep muck. My oldest cousins helped me out of the stream, dripping with black mud, and led me off to get clean clothes. On that day, I stowed two bits of information in my little head: I saw that streams weren’t always what they seem—and I couldn’t jump (I still can’t). The next rivers I remember standing out were glacial melt-streams. I stood with my brothers on the banks of the White River and listened to the boulders rolled by the rushing waters pouring off the glaciers of Mt. Rainier, and I needed no experimentation to know I should stay well out of that water. I have never needed to test the premise that wading in white water is a bad idea, and glacial run-off and even better thing to avoid. Over the years, I learned to see when a stream was just a stream, and when it was a river, masking a deadly depth or force. I got the most vital, and dangerous, lesson in my last year of college. We students all grew itchy as the Spokane winter yielded too slowly to spring. So even though it was raining (again! ), when a couple of friends proposed we rent a canoe and run the Little Spokane River, it sounded like a good plan. I’d been messing around in canoes since I was a kid, so I figured I knew what I was doing. Of course, our family canoe had stayed firmly on lakes and the in-shore waters of Puget Sound. I’d never run a river in my life. But the “Little Spokane” sounded innocuous, and it looked innocent. Smooth and flat and innocent. It turned out the innocents were in the canoe, for a while. We shoved off and tried to ignore the drizzle, excited to be off campus and doing something different. But it didn’t take us long to realize that the “little” river was larger, deeper, and above all faster than we’d anticipated. It didn’t take long after that to realize that I knew nothing about river canoeing, the other woman knew nothing about canoeing at all, and the guy, who was the only one who’d been on moving water, didn’t know enough to compensate for a couple of novices. In other words, we were in over our heads. Within ten or fifteen minutes that had ceased to be a metaphor. We lost control on a bend, caught the edge of the canoe under a snag, and capsized. The good news was that we were all wearing PFDs, we managed to hang onto the canoe and two paddles, and though we lost one paddle, no one drowned. Oddly, I don’t remember what we did after that. We must have finished our trip to the second vehicle, having learned a little bit more about the face beneath the river’s mask. I certainly never again looked at smooth, deep water with the same naiveté. Similar river lessons awaited me a decade later when my husband and I took a belated honeymoon to New Zealand. We spent a month hiking the South Island, largely on the west (wet) side, so we met a lot of rivers. After a few days, we learned to stomp right through without bothering to change shoes. Endless crossings made it necessary, and chill, often fast, water made the boots essential in any case. On our last river crossing on the last day of our last hike, a day before flying home, we learned a last (though fortunately not final) lesson about where and how to cross. After hiking down a river for two days, crossing and re-crossing multiple times per mile, we had gotten pretty good at spotting the best places to cross. Or so we thought. In fact, we’d merely gotten good at plowing straight through a broad, shallow, and fairly tame stream. When we reached the final crossing—the larger river our feeder stream flowed into—we stood and stared at it for a while. This river looked like a cross between those glacial streams of my childhood at Mt. Rainier, and the sleek and deceptive Little Spokane. Some places it ran fast. Some spots looked slower, but deeper. We proceeded to pick what looked like a good spot to cross, but was, in fact, one of the worst (as we really should have known). New Zealand rivers, once off the steep slopes of the mountains, are wide and braided, which is the only reason many are fordable at all. We crossed the first and second strands easily, and then tackled the largest channel. Stepping off the end of our gravel bar, arms linked (we weren’t completely stupid), we discovered just how much water ran under the mask. If I were writing this as fiction, I would have gone downstream, floating atop my pack (or beneath it, depending on whether I was writing comedy or tragedy) until I washed out into Lake Wanaka, or if it was a thriller, passed a desperate night clinging to a tree limb somewhere. In fact, I merely went, between one step and the next, from thigh-deep to belly-deep, began to float, and was with some difficulty pulled back against the tug of the river by my husband, still on higher ground. Retreating to our gravel bar, we waited for our pulses to slow, then went in search of what we knew to be a better crossing: not the smooth, slow-looking water, but the broad, swift, shallow(er) riffle, where speed and waves looked more frightening, but the power was less. In the years since my lessons in seeing beneath the river’s mask began, I have grown in my love of the beauty of the mountain meadow stream, the power of the glacial run-off and the joy of the tumbling cascade. But I never forget to look beneath the mask before I wet a toe. 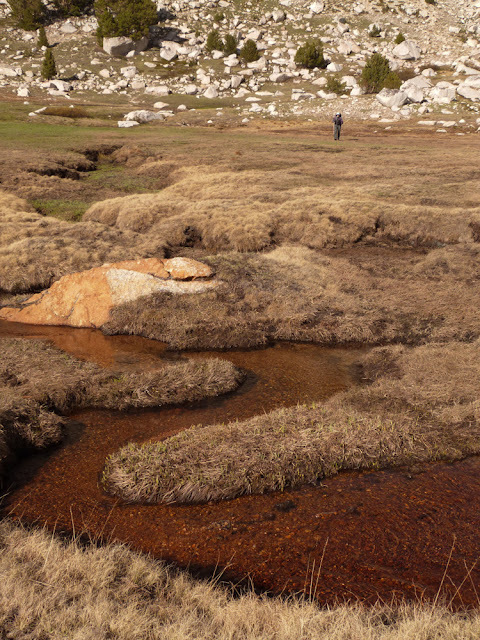 An alpine stream, with a gravel, not mud, bottom. When I'm shooting for a daily word count, it's not the final thousand or so that cause trouble. It's words 1-100, sometimes 1-200. In other words, getting started. This is not a post about how to fix that problem. This is a post about how not to. Step one: Read the paper over breakfast. All of it. Pause occasionally to play Word With Friends. Step two: Check all your social media sites. Remind yourself that this is really working, because your social media presence is important. Go back and check Facebook again, because important things might have happened to someone while you were reading about the effects of climate change in Greenland. Return to other sites to read a few trip reports. Drift off into a fantasy of loading up your backpack and hitting the trail. Step three: Open your computer files. Set up the desktop how you like it. Look at the clock. Step four: Read a bit from some book on writing. That's important, after all! Step five: Look at the clock again. Realize it's time for your coffee break. Pick up a book to read while making your coffee. Read a couple of chapters. Step six: Work on your current writing project for at least five minutes. Remember you were supposed to do laundry this morning. Go put a load in the washer. Go to the bathroom. Pick up that book again. Step seven: Oh, now it's lunch time! Fix and eat lunch. Step eight: Time to go to the gym. Fitness is important. Add to the workout by kicking yourself repeatedly for wasting the morning. Step nine: Now you're too tired to write. Writing requires a clear head. Take a nap. When you wake up, seven other tasks will demand your attention, unless they clamored for attention while you were trying to nap and prevented any sleep. Step ten: Late in the evening, try to salvage something from the day by penning a blog post about procrastination. Let sit for a week or two before getting around to posting it. An amateur sleuth, Sheridan Hendley jumps at the chance to work with the defense when a favorite waitress is arrested for the murder of her ex-husband. Determined to prove Zoe’s innocence Sheridan probes into the victim’s past and why he chose to return to Cold Creek 15 years after the divorce. Personalities clash and Zoe’s family closes ranks as Sheridan attempts to unlock the carefully kept secrets of the family that owns and operates the Grill. The closer she gets to finding the truth, the more her own life might be in danger – a situation that strains her increasingly serious relationship with Detective Brett McMann. I did find that the book read a bit rough in places, with a few consistent editing errors that bugged me (old English major that I am): most especially the use of "peaked" when "piqued" was meant. I also thought that much of the dialog--especially in the first part of the book, where the author is setting up background info--was rather stilted. That seemed to smooth out a great deal as we went on. Summary: In short, this wasn't my favorite mystery, but it was reasonably well done, and the clues that pointed to the killer were present in about the right amounts. Those who like a romance with their mystery will enjoy it; the characters and their relationships are at least as important as the crime in this story. 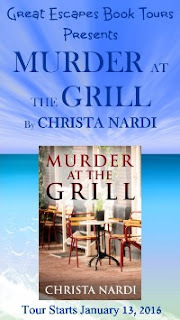 About The Author: Christa Nardi is and always has been an avid reader. Her favorite authors have shifted from Carolyn Keene and Earl Stanley Gardner to more contemporary mystery/crime authors over time, but mystery/crime along with romance and scifi/fantasy are her preferred choices for leisure reading. 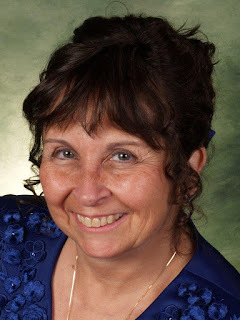 Christa also has been a long time writer from poetry and short stories to the Cold Creek series, Christa has joined many other reader/writers in writing one genre she enjoys reading – the cozy mystery. The series started with Murder at Cold Creek College; Murder in the Arboretum is the second in the series. Murder at the Grill is expected to be published in November 2015. 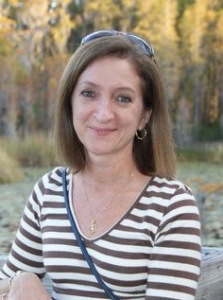 Christa Nardi is a pen name for a real life professor/psychologist from the Northeast who is well published in nonfiction and technical venues. This week, Chuck Wendig challenged us to go to Flickr, click the link for cool images of the moment, and use one to inspire our stories. I clicked a couple of times, and this one leapt out at me, both for the photo and the title--which I borrowed for my story. Thanks to photographer Mark Fearnley for the inspiration! You know what a spider web is. A human web is different—and yet the same. Let me explain. A spider web is created by a spider, to catch bugs. A human web is created by a human, but humans have little interest in bugs. You do the math. I walked down the long corridor, wary, without choices. The structure of the place gave me the creeps. That grid reminded me of something, tickling my mind without revealing the source of my unease. Perhaps it was simply the man I was going to meet. I didn’t need a sixth sense to know that it was dangerous to approach Drengo Stanlinger. Trying to sneak up on him was as hopeless as trying to sneak up on a spider in its web, and for much the same reason. That was when I realized what the corridor reminded me of, and I knew that it was probably right, at least in one sense. A spider knows by the vibrations when a fly touches the web, however small. This webbed corridor, I had little doubt, had signaled Stanlinger long since. I would be expected. That wasn’t all bad, or so I told myself. Any surprise would be limited and short-lived, so losing that element wasn’t the end of the world. That it might be the end of me was a possibility. That was a risk that went with my job. I continued down the web-corridor, resisting the urge to brush away imaginary spiders from my neck. That I was a fly deliberately entering the web did not escape me. The corridor was ringed with sensors. I wondered what they were recording about me, beyond my mere presence. I was pretty sure that by the time I reached the heart of the web, Stanlinger would know my shoe size and underwear brand, what I’d had for breakfast, and the fact that I’d upchucked when I’d gotten the assignment and found out where I was going. Okay, I didn’t mean to tell you that part. I’m not a coward. But you see what kind of spider Stanlinger was. No one walked into his web and walked back out again, not unchanged, anyway. If I came out, it would either be feet first or as his pawn, unless I was very, very lucky. I didn’t feel very lucky. So I was walking down that web-tunnel corridor and thinking about spiders and their prey. If a big enough bug flew into a web, it could rip it to shreds. I didn’t think I was that big. So what else could an operative do when sent in to take down the biggest spider ever? Poison. Let the web catch me, and poison the system from within. I might survive it, though I’d be inside for a while, because this wasn’t a matter of a simple assassination. I’d have to find a way to corrode the system and corrupt the network—both the web that was getting closer and closer to me even as I mused on the subject, and the humans who carried out whatever of Stanlinger’s plans his computers couldn’t. It was getting hard to move. The walls were only inches away, and the air felt thick. Sticky. I knew what that meant. I would know in a few minutes if I would be spider or dinner. Then everything went black. When I woke up, it was pretty clear I was dinner, not spider. The strands that bound me were, in fact, surprisingly like spider silk, on a huge scale. Slightly sticky, and wrapped tightly around me, they left me just enough room to breathe, and none at all to do anything else. I promptly wet myself. That was partly because I really needed to go—how long had I been out?—and partly to see if the threads would be damaged by it. Don’t judge: it was the only weapon I had. And even though my job was to infiltrate, I had been instructed to make a good show of trying to escape. The truth was that I wanted nothing so much as to escape. I didn’t think that new recruits were wrapped in web and hung up to dry, so I had to figure Stanlinger had twigged me. The reek from my escape effort was reaching my nose—the only part of me not wrapped in webbing—and I hoped that they’d take me out of my wraps pretty soon. I felt myself swinging and realized I was moving. I’d been hung up in my cocoon from something that I now realized was a conveyor belt, and it had started moving. With the web wrapped right over my eyes, I couldn’t see where I was going, and pretty soon the motion combined with the stink made me sick. I have a sort of delicate stomach, at least for some things, and I’ve never liked air travel. After a few minutes’ fight, I lost it. Fortunately, they’d left enough room for the vomit to trickle down inside the web, so I didn’t choke. Now I stunk of pee and puke, and wondered if they’d kill me for smelling so bad, or just toss me out, in which case I’d probably die slowly, but might escape. I wiggled my legs experimentally, and thought the webs had loosened just a little. I kicked harder, until the motion stopped and I heard—rather dimly, because that web stuff was in my ears—an exclamation of disgust. The web fell away from my face so I could see and hear. I was still hanging from the ceiling, and Stanlinger sat looking at me, a no doubt perfumed handkerchief pressed to his face. I gave another kick, and a bit of the web tore, but he only laughed. I was in. All I had to do now was stay alive until I got my opportunity. I’d worry about that after I’d found a bath and some clean clothes. Another Great Escapes Cozy Mystery Tour Review--read to the bottom for a Rafflecopter drawing! December 1918: As a difficult year draws to a close, there is much to celebrate for nineteen-year-old Phoebe Renshaw and her three siblings at their beloved family estate of Foxwood Hall. The dreadful war is finally over; eldest daughter Julia’s engagement to their houseguest, the Marquis of Allerton, appears imminent; and all have gathered to enjoy peace on earth, good will toward men. But the peace of Foxwood Hall is shattered on the morning of Boxing Day, when the Marquis goes missing. Not entirely missing, however, as macabre evidence of foul play turns up in gift boxes given to lady’s maid Eva Huntford and a handful of others. Having overheard her sister and the Marquis in a heated exchange the night before, Lady Phoebe takes a personal interest in solving the mystery. Ms. Maxwell hit on one of my favorite historical periods for her new series, and did a creditable job with the time and the story. In part because the whole story takes place in the manor house of Foxwood Hall, I had somewhat less of a sense of the period than with some stories, but life in the house matched pretty well with what I know of the period (Downton Abbey, anyone?). The story itself is also well constructed, with a number of highly plausible suspects, all keeping their secrets. I developed some suspicions of the murderer before the end, but did not become convinced until the denouement. I was a little confused at first by POV switches between Phoebe and her maid, Eva, but that was largely due to the PDF version I was reading, where visual markers for the switches were lost. The dual POV was handled well and properly, without undue switching. 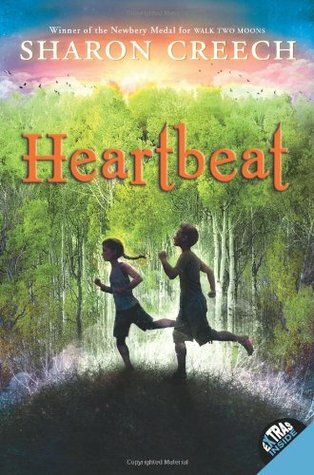 It took me a while to be grabbed by the story and the characters, and for some reason I had trouble sorting them out at first--maybe too many distractions during the holidays?--but well before the end of the book I was plowing along at top speed, and felt fully engaged with Pheobe and Eva. Other characters were less developed and of less interest to me. In particular, I did have some trouble with the relationship between Phoebe and her sister Julia, as the latter is cold and distant. Unlike Phoebe, we never see her any other way, so the younger sister's feelings for her older sibling seem a bit unlikely. There are reminders that Julia wasn't always like this, though evidently a certain rivalry has persisted for many years. There is definitely more there for the author to explore, as well as with the love interest. If you are a fan of the period, then this book is well worth your time. If you aren't wild about 1920s England, this may not be the book to change your mind about it. If you just like a well-constructed puzzle, give it a go! I am very likely to read the next book in the series when it appears. Alyssa Maxwell has worked in publishing as an assistant editor and a ghost writer, but knew from an early age that being a novelist was what she wanted most. Growing up in New England and traveling to Great Britain fueled a passion for history, while a love of puzzles of all kinds drew her to the mystery genre. She lives in South Florida in the current year, but confesses to spending most of her time in the Victorian, Edwardian, and post WWI eras. In addition to fantasizing about wearing Worth gowns while strolling manor house gardens, she loves to watch BBC and other period productions and sip tea in the afternoons. 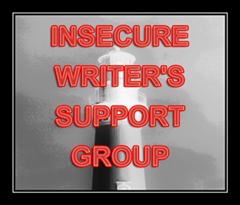 It's the first Wednesday of the month (and of the year), and that means it's time for the Insecure Writer's Support Group! Purpose of the IWSG: To share and encourage. Writers can express doubts and concerns without fear of appearing foolish or weak. Those who have been through the fire can offer assistance and guidance. It’s a safe haven for insecure writers of all kinds! It's a new year, and time to contemplate the year just past. Happily, I have this blog to help me remember what all went on in my writing life, because it does seem like a long year. There was a lot that went on in my personal life: my eldest son graduated from high school and went off to college (three states away); my younger son traveled to Mongolia with the Experiment in International Living (and if your kid wants to do some travel, I can recommend the organization; the trip did wonderful things for him); my husband turned 60 and started making concrete plans for retirement. All of that will do as an excuse for maybe not keeping my focus as well as I'd have liked. 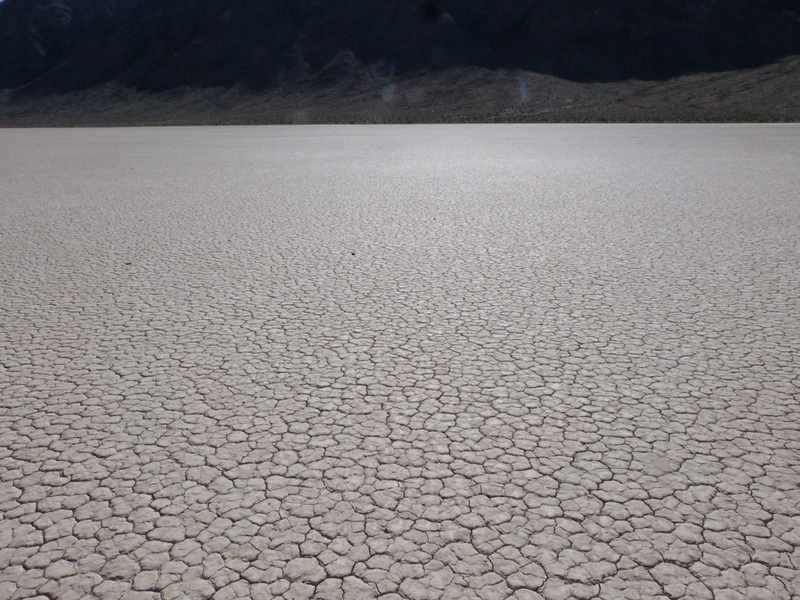 I just snuck a peak at my 2014 year-end roundup and plans/hopes for 2015. Probably shouldn't have done that. One thing I'm a little disappointed in: I didn't publish any books in 2015, though I missed it by only days. With Death By Trombone officially released on Friday, it pretty much counts--everything was completed in 2015. Once again, the revision process took longer than I intended or expected, although most of the delay was not mine, but trying to get beta readers and editors lined up and then to get feedback from them. If I want to improve that process, I will probably have to stop bartering and start paying real money, so it probably won't happen. Nor did I manage to do much to shake up the blog or increase my marketing efforts, though I had one triumph: I set up a newsletter sign-up and issued my first newsletter this week. It's becoming clear that I am pretty hopeless about marketing, and might have to be hatched all over again and hatched different to change that. I managed to use that new Twitter account a few times, but mostly not. I still haven't put the effort in to understand Twitter and don't feel like I have the energy to give to another branch of social media. On the positive side: I kept up the regular blog posts, including almost-weekly flash fiction and a steady stream of book reviews in several genres. I drafted most of the 3rd book in the Pismawallops PTA mystery series during NaNoWriMo, and have chipped away at the 3rd Ninja Librarian book until it is probably 3/4 drafted. I also finished an editing and formatting project for a friend, resulting in the release of a book that means a great deal to him and may help some people deal with life. I learned a lot doing the project, both about editing (and formatting), and about wisdom. In the end, I feel a little unsatisfied with my progress, and maybe that's as it should be. If I'm ever totally content, what will spur me to do more? --Improve marketing and increase my rather stagnant sales. --Finish, edit and publish the Ninja Librarian, Book 3 (still lacking a satisfactory title). 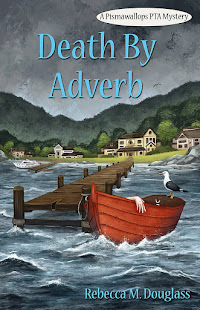 --Finish and edit the Pismawallops PTA #3 (the working title, Death By Adverb, didn't work out so well as the story turned out, so that will be in search of a title as well). If I manage half of that, I should probably be pretty satisfied! Publisher: Tantor Audio, 2005. Originally serialized in the children's magazine Wide Awake in 1880. Approx. 300 pages in print editions. Mrs. Pepper is a widow with five children: Ben, Polly, Joel, David and Phronsie. They are very poor, but managing as best they can in their Little Brown House in Badgertown. The greatest desire of the children is to have a nice birthday for their mother, and maybe celebrate Christmas, while the Mrs. Pepper most wants for her children to get an education--something she can't afford, either to pay school fees or to spare the pennies the older ones bring in working. Despite the challenges of their lives, they remain positive in outlook, and the reader is soon as convinced as they are that "their ship will come in" any day. Of course, it does, in a most unexpected way. Although this book is more or less contemporaneous with Louisa May Alcott's books, one thing I noticed quickly was that it does not have the preachy tone that mars most children's books of that era (including Alcott's, much as I love them). The characters (the children and their mother) are all a bit too good to be believable, but escape sanctimony by making some very human mistakes (which always work out fine in the end). I found the story charming, if sentimental. It isn't so sweet you need an insulin injection after reading it, but there is also nothing at all in it to disturb or challenge the reader. It made a nice bit of fluff to listen to during the holidays, especially as there is a marvelous Christmas scene. 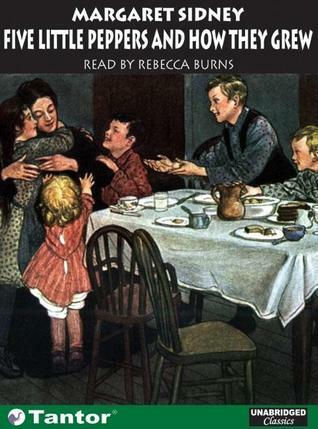 Rebecca Burns does a creditable job reading, though I felt it could have been a bit smoother, and the children's voices could be rendered less annoyingly. That was a minor thing, however, and as the story went on I got used to it and ceased to be particularly aware of the narration. I'm not sure how I missed reading this long ago, but I can recommend for any reader from about age 7 up who enjoys classic tales. The language is, for the most part, simple enough for younger readers to manage (and doesn't feel particularly dated, though there will be references to things a modern child may need explained), and the story is free of excessive peril or tension. No one will have nightmares after enjoying this simple tale, though they are likewise unlikely to have any grand dreams. Full Disclosure: I checked Five Little Peppers out of my digital library, and received nothing from the writer or publisher in exchange for my honest review. The opinions expressed are my own and those of no one else. I am disclosing this in accordance with the Federal Trade Commission's 16 CFR, Part 255: "Guides Concerning the Use of Endorsements and Testimonials in Advertising." Want something more adult and up-to-date? 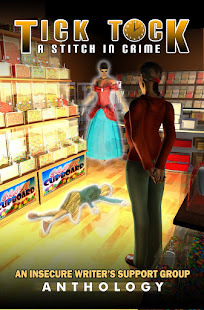 Enter the Giveaway for a copy of my newest mystery, Death By Ice Cream! Amazon pre-orders for the Kindle! Smashwords pre-orders for all ebook formats. And in case you haven't read the first book, get Death By Ice Cream at Amazon, Smashwords, or Barnes & Noble. Xavier Xanthum, Space Explorer, gazed morosely at the fuel-level indicator of the starship Wanderlust. A voice interrupted his gloomy musings. "Captain, we're going to have to put in at Haven for fuel," Larry announced. "I can see that." Xavier let his irritation show. Larry wouldn't take offense. It was hard to offend even a self-willed AI. "I told you, I hate going there," Xavier continued. "Why didn't you remind me about fuel back in the D-36 System where we had some choices?" "I did. But then there was that sweet little planet..."
Xavier sighed. It had been a lovely planet, with gleaming seas and perfect land-masses. It would have been worth just about anything to claim that one. Too bad about the Krrg who held it. He'd been in such a hurry to get away from the Krrg--they didn't take kindly to interlopers--that he'd forgotten all about the fuel. Bad, but understandable. "Hey, wait a minute--yeah, I forgot, but you could have reminded me once we were away from those brutes." That silenced Xavier. After a long minute, he carefully pointed out, "You're an AI. You don't forget." Another silence followed, despite the effectively instantaneous nature of Larry's thought processors. The two friends, man and AI, considered this. Larry appeared in his usual guise, as a pair of eyeballs, sans body. On this occasion, the eyes were green. An odd, pea-soup kind of green. "I am dismayed to learn this," Larry said, his computer voice drained of expression by his shock. After a minute, Xavier decided he'd rather not think about it. "Larry, set course for Haven. We need to refuel." The subject was closed. Haven was wide open. Xavier studied his viewer with distaste. Like most free-lance space explorers, Xavier Xanthum was an introvert, quite content with the company of Larry and their cat, Comet. It was a necessary condition of the employment; an extrovert would go mad or die, forced to spend month and even years alone between planets. For Xavier, an entire planet engaged in a massive drunken party was a blast for about fifteen minutes. By now, he knew better than to even start. But there it was, clear on every channel he could open to Haven. Always a party planet at the best of times (the name referred to the planet being a haven from a repressive regime that didn't approve of festivities), every spaceport dirtside appeared to be enjoying some kind of wild celebration. "What are they partying about, Larry?" It would be good to know. A party this huge might indicate the overthrow of a regime or survival of a plague. "It appears to be an annual celebration of the recalibration of their local calendar." Xavier thought about that. "Translate, please." "Something they call 'New Year's Eve,'" Larry elucidated. Xavier groaned. He now had a choice. He could try to get his fuel and leave without other contact, giving him nothing to distract him from Larry's surprising revelation. Or he could join in the party and drown the memory of Larry's forgetting in Carpintinarian rum, in hopes that by the time he sobered up he would have no recollection of Larry's descent into humanity. About to drain his first tankard of rum, Xavier hesitated. Always before, when he'd chosen to get sloshed dirtside, Larry had kept track--of him, of the ship of their Credits, and anything else that needed remembering. Xavier slowly lowered the tankard, and slid off the barstool. This was one New Year he'd skip celebrating.